Some very sad news this morning. 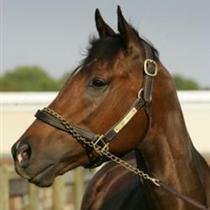 Barbaro, the Kentucky Derby winner has been euthanized. The decision was made by owners Roy and Gretchen Jackson and Dr. Dean Richardson, the Chief of Surgery at the University of Pennsylvania's New Bolton Center.